Rigid Lights - R Series UNIVERSAL - Lightning Motorsports - Selling Speed since 1996 ! 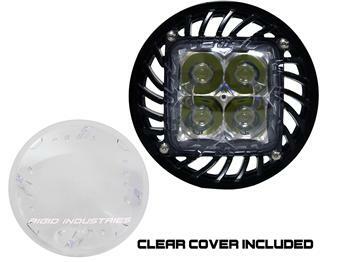 Using Rigid Industries patented optics, with Cree or Osram LEDs the R-Series projects light over 2x the distance of the nearest competitor. The choice is clear with versatile 9-36V DC input, patented heat sink and diffused option.